Also called okariya or angū, a facility serving as the temporary destination or midway resting point during a kami's ritual procession (miyuki). On the occasion of such processions, the kami's symbol is taken from its usual "seat" (shinza) in the shrine and is transferred to a portable shrine (omikoshi or shin'yo), then borne through the shrine parish district until the procession reaches the otabisho, where rites are observed. The otabisho is normally selected on the basis of some special relationship to the shrine and its object of worship (saijin), but it may be one of several types. 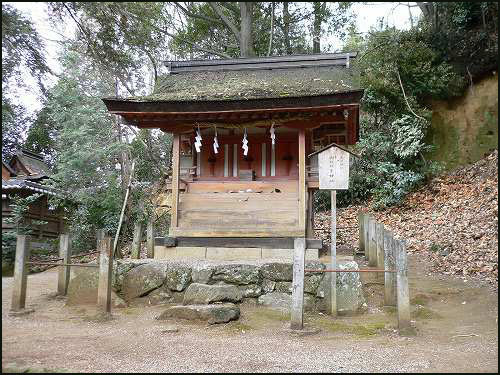 or a shrine dedicated to a "consort deity" of the saijin. In still other cases, the home of a parishioner may be selected as the otabisho or a temporary structure may be built as required to serve the purpose. In general, the traveling kami is thought to spend a predetermined period of time in the otabisho before returning to its main shrine, but the actual time spent at the temporary resting point may vary from no more than a brief stop during the procession to relatively long-term periods of enshrinement. Normally, the portable shrine used to bear the kami in the procession continues to serve as the kami's residence or divine seat during the duration of its stay at the temporary shrine.
. WKD : Festival at shrine Oyamato Jinja .
. mikoshi, o-mikoshi　お神輿 and other festival floats . 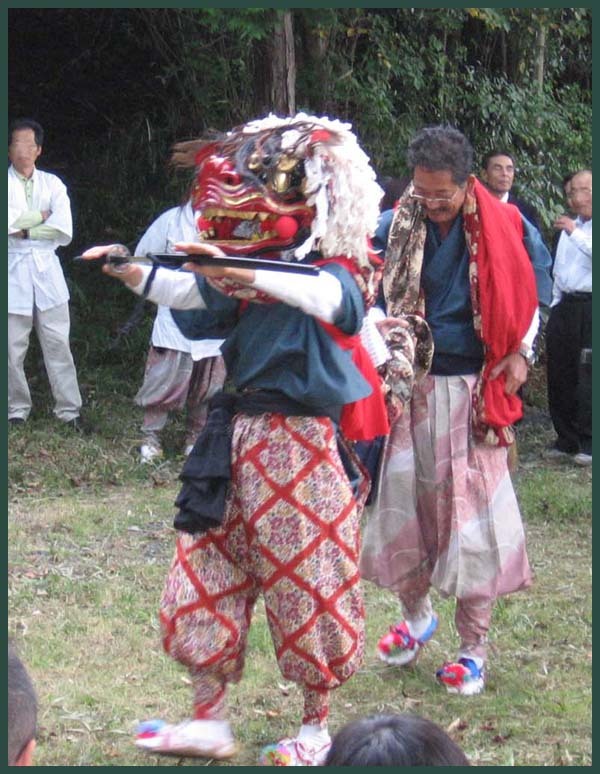 o-tabisho in the forest, where a lion dance with swords is performed to entertain the local deities.
. 一宮神社 Ichi no Miya Hachiman shrine in Ohaga, Okayama . 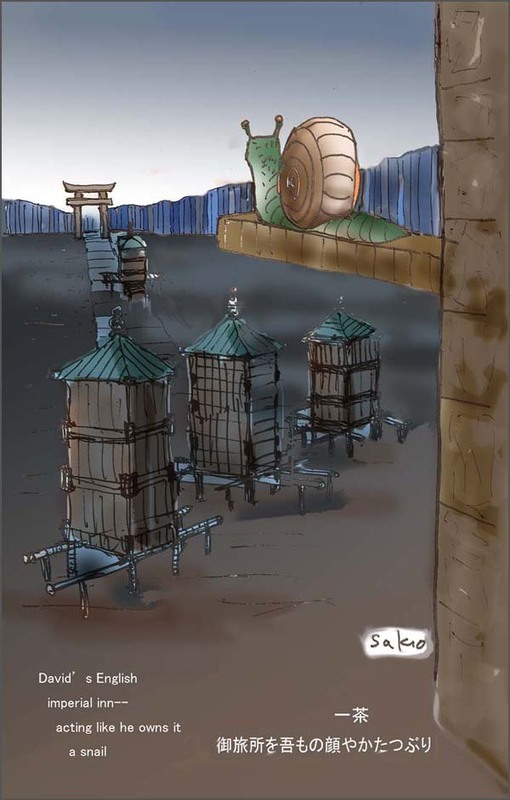 When the deity spends more time over night at the Tabisho, there is usually a night festival with a lot of food stalls.
. WKD : morokoshi もろこし maize, corn . of owning the Tabisho . . . This could be a shrine near the sea coast. 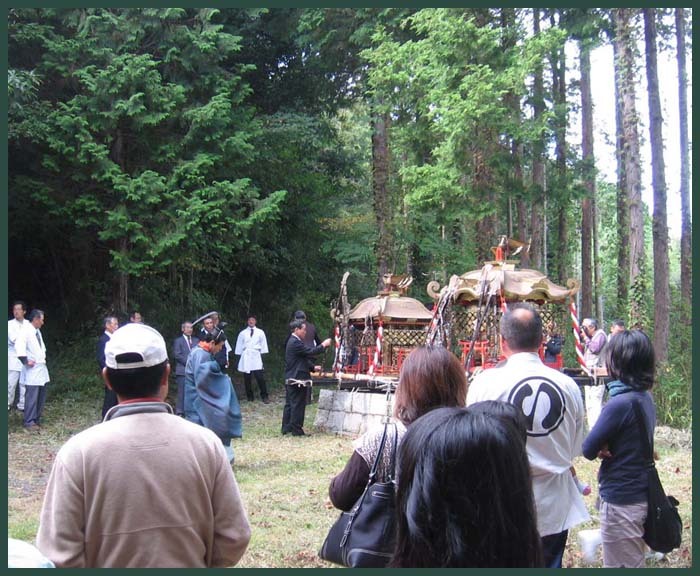 the mikoshi at the o-tabisho in our woods . . .